Dear Parents, Students, and Friends of Sanborn Regional High School. Here are your important announcements for the week (remember, you can't view the attachments unless you join Mr. Stack's email list. There is a link for this on the school's website). 1. Winter Carnival week is here! See the attached packet for more information. 2. Did you know we now have our very own PTO? Please consider joining. The membership form is attached. 3. Come join us for the choral event "Many Voices" on Monday, March 5, 2012 at 6:30 in the auditorium at Sanborn Regional High School. The Methodist University Choir, under the direction of Dr. Michael Martin, will perform a joint concert with various student groups from the Sanborn Regional School District under the direction of music teachers Marilyn Cook, Nancy Fiske, and Victoria Williams. A suggested donation for admission is $5 for adults and $2 for children/students. 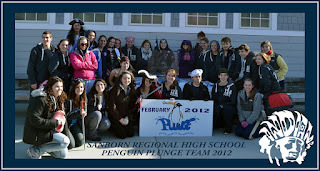 Dear Parents, Students, and Friends of Sanborn Regional High School. Here are your important announcements for the week. 1. The SRHS PTO will meet at 6pm this Wednesday in the library. All are welcome and invited to attend. Agenda items will include fund raising, specifically planning for a possible carnival on the campus in June. 2. Start your Saturday right with some pancakes, and help the music department at the same time! The Music Boosters are sponsoring a pancake breakfast this Saturday at the Applebee's in Epping from 8-10. While you are there, buy some raffle tickets for a chance to win some GREAT items. See the attached flyers for more information. 3. I have attached the scholarship newsletter for this week from our Guidance Department. 1. I have attached the scholarship newsletter for this week from our Guidance Department. Yesterday, our school community lost one of our beloved educators. Mrs. Bartlett, longtime librarian and friend to so many, has passed away. Mrs. Bartlett was a true supporter of Sanborn. Her passion and love of learning and literature was apparent in every interaction she had with staff and students. She took the time to get to know people on a personal level, to find out what they were interested in, and to help them excel in school and beyond. She was a true supporter of Sanborn activities – she never missed a play production, she cheered on our athletes at sporting events, and she never missed an awards ceremony or other similar event. 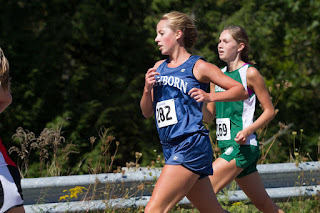 She embodied the Sanborn spirit in everything she did. We will share any arrangements or ceremonies honoring her life with all of you once we have any details on them.